Magic that Roils in Blood and Bone! The dragons were among the first creatures to master all types of magic: controlling the elements, enchanting their lairs with innate defenses, and teaching their arts to their humanoid servants. Today, their kin—true dragons and lesser creatures—are heirs to this powerful magic. Kobolds serving great wyrms learn spells that harness their innate draconic natures. A human with an ancient draconic ancestor might find a wizard mentor to help her focus her power. Special legions of dragonborn troops train with a master dragon mage to better defend their homeland from invaders. Here is magic born in the abyss of time, in an ancient age where titanic winged masters wielded unimaginable power. Their blood burns within you—unlock its secrets, and wield the magic that is your birthright! Disclaimer: I received a copy of this product as part of a kickstarter. This review is for Deep Magic: Dragon Magic, which by premise alone seems rather impressive. And immediately upon flipping to the first few pages, it is clear that this product contains some amazing dragon themed character options. First off is the Dragon Mage arcane tradition, which allows a wizard to emulate the powers of a dragon in various different iterations. You start out being able to wear an illusory dragon mask that gives you a bite attack, and eventually get things like wings and a tail that give you an amazing ability to affect the battlefield. 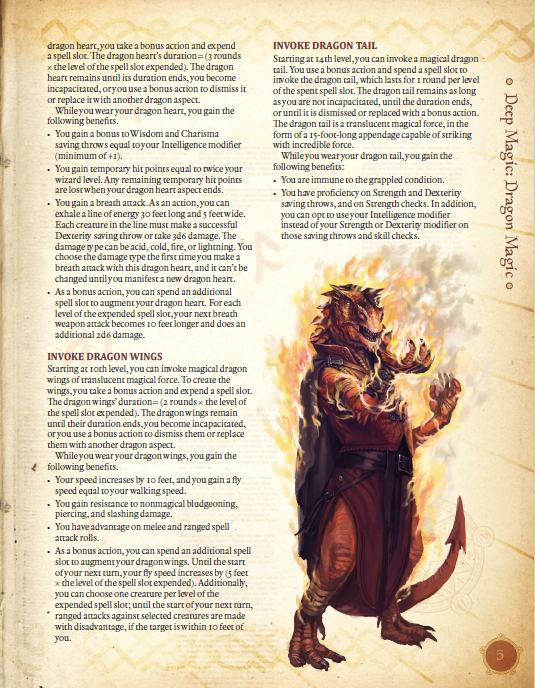 While this is a departure from other wizard archetypes in that it isn’t as spell focused, these dragon powers offer an amazing variety of options to a wizard, but keep it interesting enough that they don’t necessarily compete with spells, though the effects do use spell slots to power them. And while the dragon mask ability at level 2 does make you choose between offensive spells and viability in melee, the choice is an interesting one that is especially important at the low levels when a wizard may feel less useful (and probably more vulnerable) until they get a wider array of spells. Speaking to the various dragon based powers that you can select from at higher levels, the implementation was inspired. I was very impressed at how the archetype gave you more powers, but made them distinct, and with a very limited exception, made them exclusive to each other. This does not give a significant boost to the wizard over other archetypes, and instead grants an amazing toolbox that speaks to the nature of wizardry in D&D. There are a number of feats that supplement the powers of the Dragon Mage specifically, while also giving a number of feats that are not tied to the arcane tradition and instead are just darn good well balanced feats. As a slight departure from the other 5e deep magic products that I have reviewed, the spell section is NOT directly tied to the wizard archetype, and instead offers a plethora of spells that dealt with dragons as a theme. 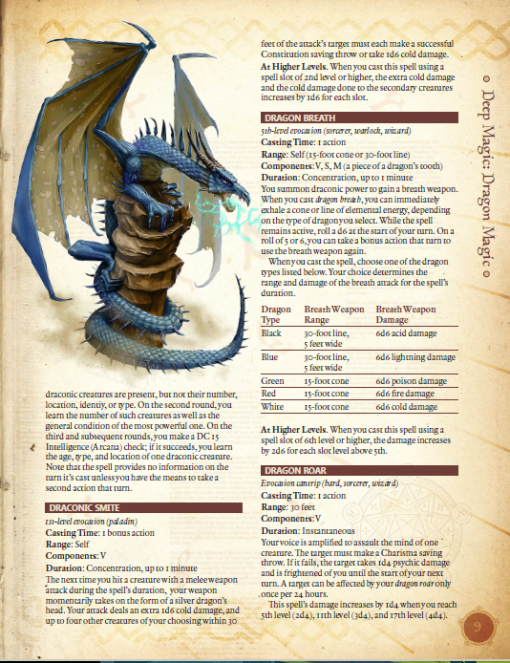 There are spells that mirrored some dragon abilities, spells that are antithetical to dragons, and spells that just plain evoke a draconic theme. This was a refreshing change, in that I love variety in spells without dedicating myself to a specific archetype. The balance for the spells is excellent, and I did not notice any glitches. This product complements the Deep Magic line perfectly, and is a robust and amazing addition to a wizards arsenal that will go in my list of must haves for future reference. 5 stars and the royal seal. There are many diverse theories, we are told, as to where ‘magic’ actually comes from. No doubt scholars will argue furiously for their preferred source, but the truth is, it has multiple sources, those listed here (ley lines, other dimensions, bloodlines…) and probably quite a few more. One fairly undisputed source of magic, however, is the dragon. An ancient and wise race, innately magical and capable of studying to develop their knowledge, dragons themselves are excellent at magic, and also pass it on, through bloodlines, to those descended from dragons as well. Because of their lineage, dragons were amongst the first to master magic, so they have been practising and refining their skills longer than most. This leads on to a discussion of the particular forms of magic practised by so-called Dragon Magi. They walk a line of balance between wizards who pull power out of the air to mould as they wish and sorcerers who draw on internal chaotic power to drive their magics, a mix of order and chaoes. This new arcane tradition, mechanically speaking, uses spell slots not just for actual spells but for powering magical abilities, an interesting approach which has great potential for developing your own personal style in magic-use. Dragon magi can call upon various aspects of the dragon – head, heart, tail, and so on – which have a visible manifestation and in-game effects. Calling them costs a spell slot, but once you get to grips with the potency of the abilities granted, it is worth it. Several feats are also presented, many of which are available to anyone not just dragon magi. Perhaps you might care to be a Dragonrider, a feat that grants the ability to climb onto an opponent much larger than yourself and ‘ride’ it in combat – despite the beautiful illustration of a sword-wielding elf seated comfortably on a barded dragon (who looks quite happy about his mount), the text suggests that this feat is for use against a hostile beastie that has no intention of permitting itself to be ridden! A range of Dragon Magic spells are also presented, which any spell-user may acquire and cast in the usual manner… provided they can get access to the necessary information. There are many intriguing dweomers here, all linked in some manner with dragons – maybe you want to make a lot of noise with Dragon Roar (it’s basically a sonic attack) or seek out precious metals and gems with Enhance Greed. Or maybe you’d like to make like a dragon yourself and use Dragon Breath to give you a one-off breath weapon. Taking the theme of dragon magic and stretching it in several directions, this provides some interesting ideas to expand the scope of the magic available in your game. Magical theorists will enjoy the way these new powers are embedded into the alternate reality of the game, whilst more muscular magic-users will enjoy trying them out! 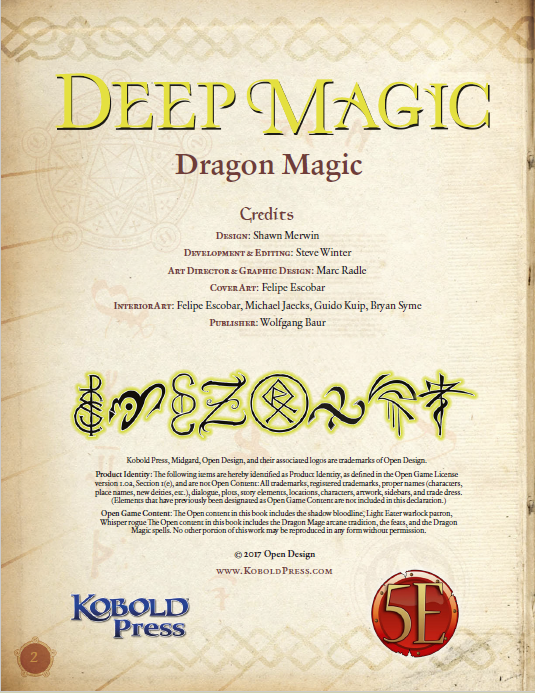 This installment of Kobold Press‘ Deep Magic-series clocks in at 13 pages, 1 page front cover, 1 page editorial, 1 page SRD, 1 page advertisement, leaving us with 9 pages of content, so let’s take a look! Okay, without much fanfare we begin with a new arcane tradition, namely the Dragon Mage, who is defined by invoking dragon aspects. Dragon aspects are gained in a linear manner and provide a set array of abilities when invoked. 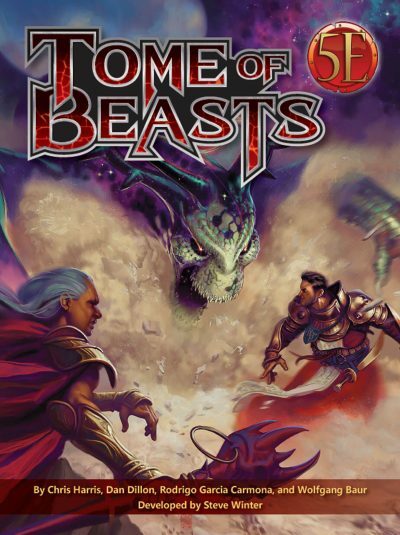 You can see a dragon aspect in play on the cover – the translucent lines with draconic mien? That’s an aspect. Manifesting an aspect requires the expenditure of spell slots and further spell slots may be expended for more abilities once the aspect has been invoked. The dragon aspect is treated as a spell of the level of the spell slot used to power it for the purpose of interactions with dispelling options etc. Ending or switching from aspect to aspect is a bonus action and requires spell slot expenditure to power the new aspect, even if the previous one still has a duration left. Durations vary from aspect to aspect and usually last until the elapse or you become incapacitated or replace it with another dragon aspect. Dragon aspects do not require concentration to maintain. Okay, got that? 2nd level nets Dragon Mask, which nets Int-bonus to AC (minimum 1) as well as advantage on Wisdom (Perception) and Charisma (intimidation) skills. The aspect also nets you a 1d8 piercing damage bite attack that counts as magical. You may enhance this bite attack as a bonus action by expending a spell slot – your next attack with the bite is made at advantage and inflicts +1d8 piercing damage per level of the spell slot expended. However, while the aspect is in effect, your ranged and melee spell attacks are made at disadvantage and targets have advantage on saves versus your spells. The aspect lasts 3 times the expended spell slot’s level. Starting at 6th level, we can invoke the dragon heart, which has the same duration as the first aspect and nets a bonus to Wisdom and Charisma saves equal to your Intelligence modifier, minimum 1. It also nets twice wizard level in temporary hit points. The active ability is a line of energy 30 ft. long, 5 ft. wide, with the 4 basic energy types available. You choose one and the ability is then always that energy type until you manifest a new dragon heart. The aspect allows for the expenditure of spell slots to boost the range of the breath weapon as well as the damage inflicted. Action-types are noted properly. Minor complaint: The pdf could be slightly clearer that the Dexterity save negates damages – it’s evident from the wording, but one could assume half as much. 10th level nets the dragon wings aspect, which lasts for twice the expended spell slot’s level rounds. These increase speed by 10 feet and net you a flying speed equal to land speed. It also nets resistance to all three physical damage types and provides advantage on melee and ranged spell attacks. You can expend spell slots to increase fly speed until the start of your next turn and determine one target, which then suffers from disadvantage against your saves when it is within 10 ft. of you. And here I was getting ready to complain about “that you can see” not being part of the wording – the range justifies omitting this caveat sans breaking balance. 14th level lets you invoke dragon’s tail, which lasts for 1 round per level of the spell slot expended and is 15th long. This aspect nets immunity to the grappled condition as well as proficiency on Strength and Dexterity saves and Strength checks. It also allows you to substitute your Intelligence modifier for saves and skill checks based on these attributes. As a reaction to a creature approaching within 15 ft., you can make a tail slap, which inflicts 3d10 + Int-mod bludgeoning damage and pushes the target 10 ft. away. I am not 100% clear of the sequence in which this is resolved: If you enter the range, the reaction can trigger the attack. It is resolved, the target is shoved away. Does that end the movement? I assume it does, but I am not 100% clear. One could make a case for either. Before you ask – yes, the attack counts as magical. The bonus action upgrade trick allows you to increase the damage output of the next tail slap you execute before your next turn and also replenishes 3 x spell slot level hit points, which is potent, but considering the contingency on spell slots, something I’m good with. The pdf sports quite an array of feats, many of which tie into this subsystem: Careful Dragon Mask eliminates the drawbacks of the dragon mask aspect. Dual Dragon Aspect does what it says on the tin and allows for the maintenance of two – when you switch, you have 1 round where the aspects overlap and you get both benefits. Neat. Fearsome Dragon Mask adds a chance to frighten targets you hit with the bite attack. Radiant Dragon Heart unlocks, bingo, radiant damage. However, the verbiage here is weird: “In addition to the damage type done by your dragon heart’s breath attack, the damage is also considered radiant.” – that is problematic. How does that interact with resistances/immunities to one of the energy types? It would have been more prudent to make it another option available for the breath weapon. Not related to the tradition would be Find the Titan’s Weakness, which nets +1 Wisdom and lets you spend an action to analyze a Large or bigger target you can see: The next attack against that creature is made at advantage and scores a crit on natural 18 – 20. Fortifying Healer renders targets healed by your spells becomes temporarily (spell level rounds) immune to the frightened condition. One ally gains inspiration (I assume as the bardic ability), but only once per rest-interval. Not a fan of this one. Dragonsmith lets you make items from dead dragons at 10 times the cost; weapons inflict +1d6 energy damage and armor/shields provide resistance versus the damage type of the dragon’s energy. 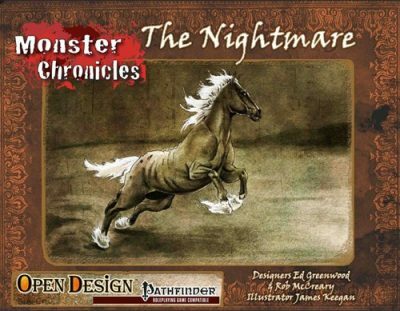 Dragonrider allows you to enter the space of a larger creature via a contest. The creature’s attacks against you are made at disadvantage if you manage to thus climb atop it and “ride” it. Interesting, if basic one, though I maintain the subject matter deserves its own, more detailed book – you know, with unwilling creatures attempting to death roll, crash against walls, etc. Unthreatening, finally, increases Charisma by +1 (and yes, the feats maintain the 20-cap). It allows you to spend a reaction when attacked by a big foe to force it to redirect the attack. No, it can’t be cheesed, it may only be used once per rest interval – and that’s a good thing. All right, let’s move on to the new spells! As a new cantrip, we have dragon roar, which is a bit of an overkill for a cantrip – it inflicts scaling psychic damage and makes the target frightened until the start of your next turn. I think this should be thunder damage, considering the value of psychic damage. At 1st level, we have draconic smite, which adds cold damage to the next melee attack and and also targets additional creatures within 30 ft. of the target with cold damage. Interesting. Converse with dragons nets you limited telepathy with dragons. 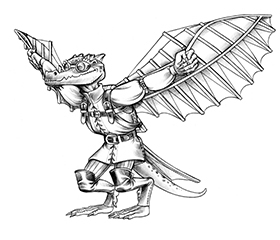 Kobold’s fury nets advantage on the target’s melee weapon attacks and adds bonus damage to the first attack. The verbiage would be slightly better if it specified that the damage was of the weapon’s type, but that is a nitpick. Lair sense is a wizard ritual at 2nd level that provides awareness of an area being intruded by Tiny or larger targets, rousing the caster from slumber. Nice justification for the inevitable dragon-awakening. Detect dragons does what it says on the tin. Enhance greed detects nearby precious metals and gems. Shade is a buff that fortifies against blindness and light-based penalties incurred from daylight etc. The 3rd level Phantom dragon can make an ally seem like a frightening dragon, potentially frightening targets. Catch the breath is a reaction spell to being targeted by a dragon’s breath weapon, netting you advantage on the save. If you succeed, you take no damage. Whether or not you succeed, you absorb a part of the energy, allowing you to make a ranged spell attack against a target within 60 ft., inflicting 3d10 force damage, which may be increased at higher levels. At 4th level, we have raid the lair that is interesting in that it is a potent buff versus lair actions. Cool one! Scale rot affects creatures with natural armor and provides advantage on attacks and prevents hit point regains, but thankfully has an option to shake it off on subsequent rounds. At 5th level, we get the mandatory dragon’s breath spell (guess what it does…), with the breath recharging on 5 and 6 on a d6 while the spell remains in effect. Claws of the earth dragon is a bludgeoning ray that slams targets to the ground, particularly efficient versus flyers. At 7th level, we get one spell: Legend killer. You tap into the power of a creature capable of performing legendary actions. If the target botches the save, it loses the ability to perform legendary actions and legendary resistance cannot be used to auto-win this save. Subsequent rounds and saves allow for the slow regaining of legendary actions. Finally, there is one 8th level spell, namely deadly sting, which nets you a potent stinger that inflicts piercing damage, serious poison damage, and which can render the targets it hits vulnerable to poison damage. Editing and formatting are very good on a formal and rules-language level – apart from very minor nitpicks and the imho slightly OP cantrip, I did not have anything to complain. 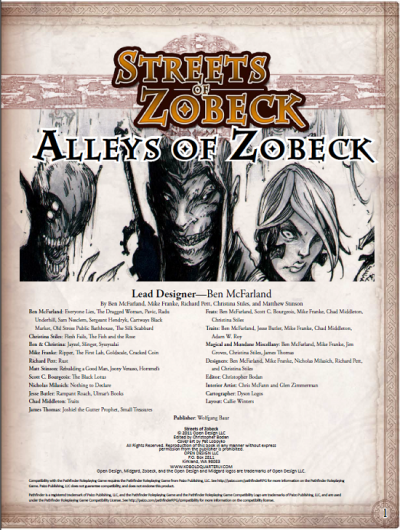 Layout adheres to Kobold Press’ two-column full-color standard and the pdf comes fully bookmarked for your convenience. Interior artwork is full color and really neat. 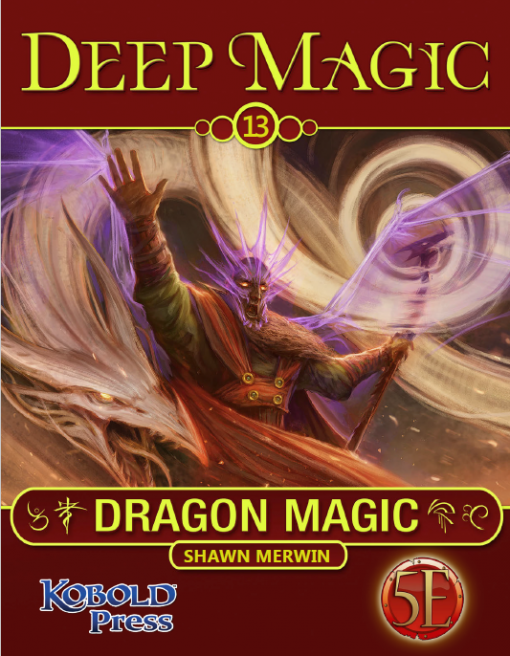 Shawn Merwin’s dragon magic is damn cool. The aspect engine is tight, concise in its presentation and evocative. Its benefits are pronounced, but paid for by spell slots and actions and as such, makes for a rewarding mode-based gameplay. The supplemental feats are nice, even though they are the weakest part of the pdf. The spells similarly are fun offerings that did not leave me with much to complain about. All in all, this is certainly worth getting. My final verdict will clock in at 4.5 stars, rounded up due to in dubio pro reo.